A beautiful scenic getaway with full hook up 20/30/50 amp sites, pull through sites, and rental units available including The Lodge, rustic cabins, travel trailers and park units. 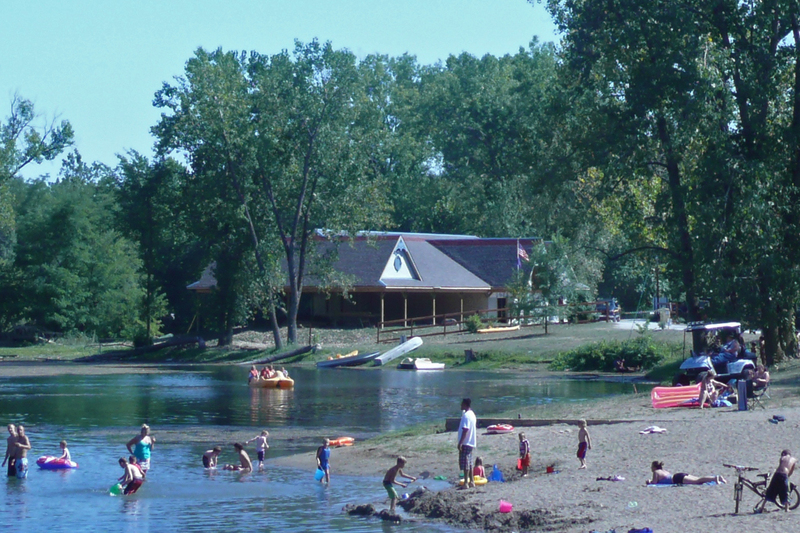 Just minutes off of Interstate 69 Exit 326 for County Road 11A, our campground offers you a beautiful camp store/office/pavilion which is located adjacent to three fishing lakes and features a new Recreation Hall with a huge deck overlooking the lake that will accommodate over 250 people. Fully ADA accessible, this facility is ideal for family reunions, company outings, wedding receptions, and more! We also have a beautiful sandy beach with a waterpark slide and swim raft, a large playground, basketball court, horseshoe pits, volleyball court, and bath house! Planned activities, bingo, hayrides, and paddleboat, fishing boat, and canoe rentals, are sure to keep you entertained and our warm and welcoming staff will always be happy to greet you and make you feel at home.